Inti Creates has announced that starting tomorrow, fans of Mighty Gunvolt Burst will have not one, not two, but three new playable characters to try out as Version 1.3 hits the Nintendo eShop for Nintendo Switch and Nintendo 3DS on December 28th, 2017! From Mighty No. 9, RAY attacks with claws and Collapse Ray beam, but still has to deal with the health-draining Xel Decay that requires her to recover health by slaying enemies. 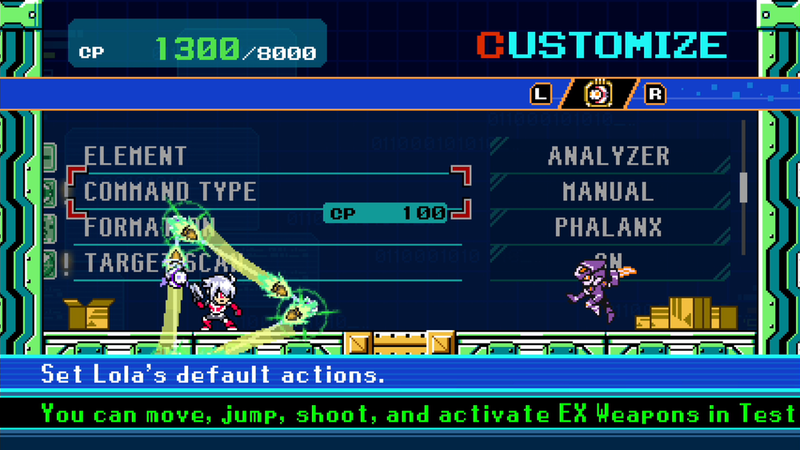 Copen comes from the world of Azure Striker Gunvolt with AI Lola in tow, and can convert the elemental abilities taken from fallen bosses into EX Weapons, as well as take to the skies with Mid-Air Dash Z. Finally, Gal*Gun's Kurona can fire energy shots from her Demon Spear, or charge them up with Demonic Power to temporarily be able to pierce through shields. She can also float with her Hovering ability, allowing her to get the drop on enemies with the Spear Drop. RAY, Copen, and Kurona will be available for $1.99 USD each. Next, if you've read my review, then you know I consider Mighty Gunvolt Burst to be just the saving throw that Mighty No. 9 needed. But if you still haven't played it and find yourself on the fence about whether or not to make the purchase, good news! Inti Creates has announced that a new demo version will be available to try in the Nintendo eShop tomorrow. As Gunvolt, Beck, or Ekoro, you'll be able to play through not only the tutorial City stage, but also the Waterworks Bureau and Radio Tower stages as well. "The stages themselves are the same as they are in the retail version," Inti Creates notes, "rare items are obtainable, and stages can be played as many times as you like." Inti goes on to note that "The Challenges in the demo version are different from the ones in the retail version. However, completing challenges will present the rewards that are available in the retail version." That would seem to include unlocking Ekoro for free when you transfer your data to the retail version! Finally, Inti Creates is happy to announce that Mighty Gunvolt Burst has been downloaded a whopping 80,000 times! To celebrate, they're presenting a special commemorative wallpaper that you can download here. 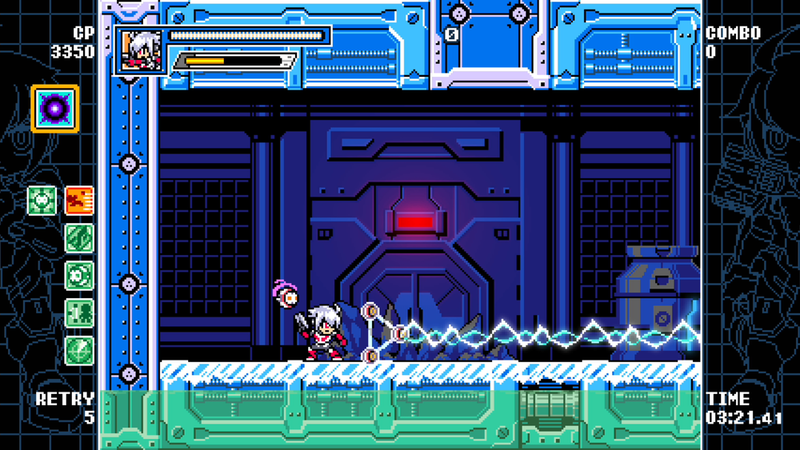 If you haven't already, are you ready to join the 80,000 who have taken on the challenge of Mighty Gunvolt Burst?